Ink annotations are used for free hand drawings on a page. They can contain multiple segments (see the definition of lines below). Points within the same segment are connected to a line. Ink annotations are only selectable around their visible lines. This means that you can create a page full of line annotations while annotations behind the ink annotation are still selectable. 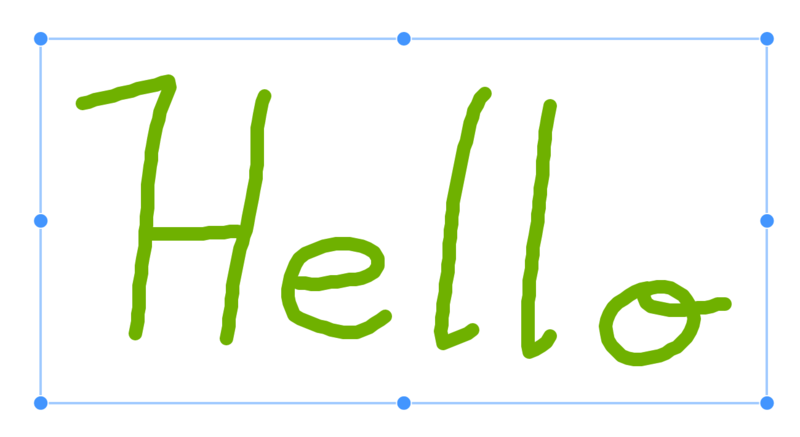 Right now, ink annotations are implemented using SVG images. This behavior is object to change. Display free hand drawings on a page. Optional background color that will fill the complete bounding box. The blend mode defines how the color of the annotation will be applied to its background. PSPDFKit's Natural Drawing mode. This value will currently not effect rendering on PSPDFKit for Web. When an ink annotation is created via the signature UI, this flag is set to true. A list of line segments. Every segment consists again of a list of points with additional intensity information. The two nested lists are required since one ink annotation can consist of multiple lines. Within one segment, points will be connected using lines or curves. We use PSPDFKit.Geometry.DrawingPoint for an additional intensity value (usually the pressure of a pointer device) that is used to reconstruct the naturally drawn image. If a device without intensity is used, the default intensity of 0.5 will be used. If no lines are present, the annotation will not be visible. The width of the lines in page size pixels. Per default, we use values between 1 and 40 in the UI. The line width will scale when you zoom in.